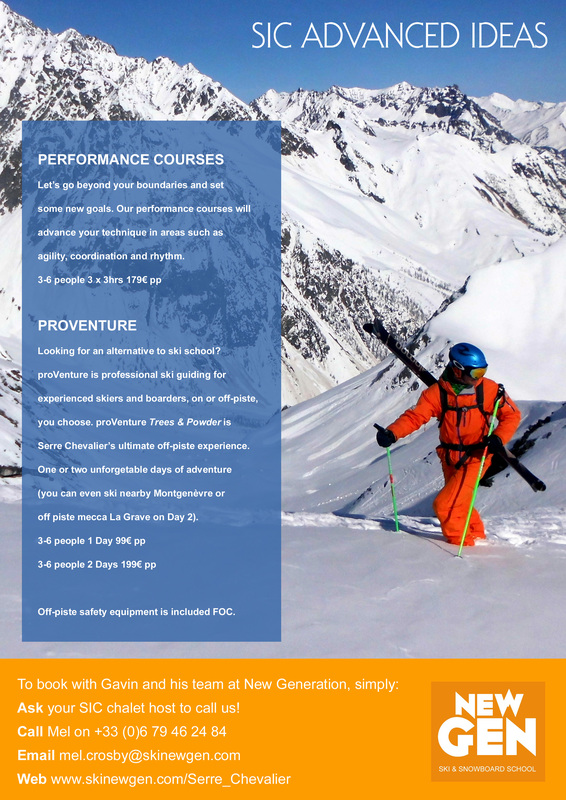 Looking for an alternative to ski school? We thoroughly recommend Gavin Crosby and his team at New Generation, based in the highest sector of Serre Chevalier, Monêtier les Bains. If you're a seasoned skier and you want to ski Monêtier's off piste, why not enjoy some high-end coaching or a proVenture mix of serious fun with adventure?